In 1966, the civil rights movement was in full swing, protesters marched against the escalating war in Vietnam, and the Beatles were revolutionizing the U.S. music scene. But for good Catholic girls like Pam Strasser, it was still a time of relative innocence. 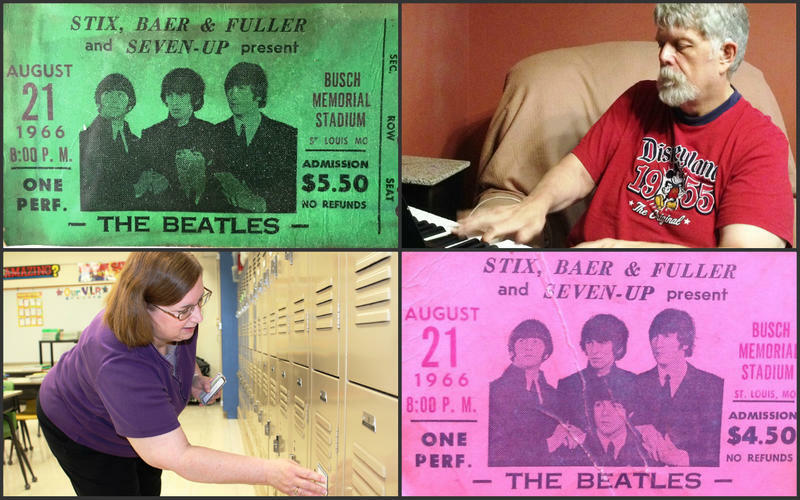 She and her friends used their babysitting money to buy their tickets when the Beatles came to St. Louis. 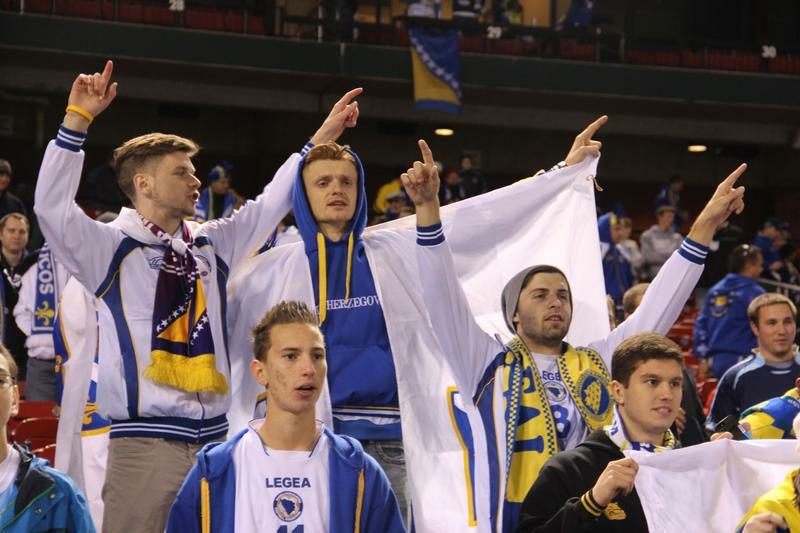 Busch Stadium will again play host to an international soccer match this summer. The St. Louis Cardinals announced Wednesday that Liverpool F.C., from England, will take on the Italian Club A.S. Roma on Monday, August 1, at 7:30 p.m. Baseball is a game of numbers: batting average , RBIs. ERA. 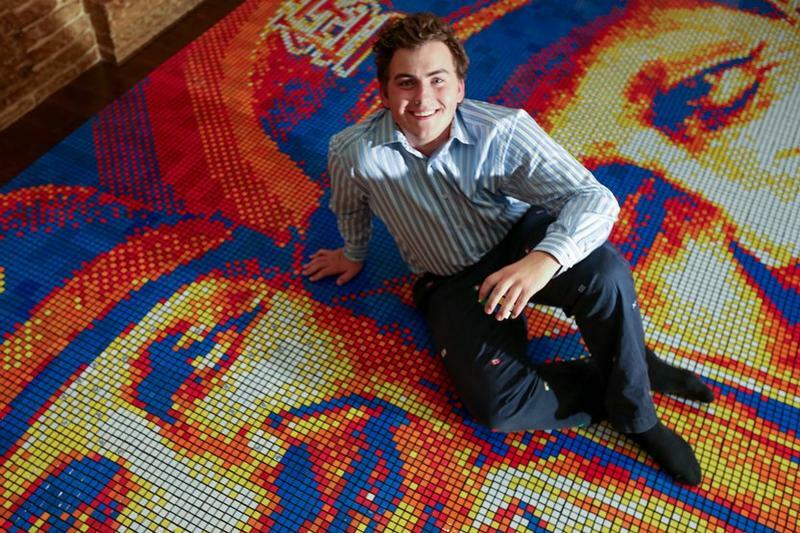 But Connor Wright had to come up with a different kind of number for a project honoring St. Louis Cardinals legend Stan Musial: how many Rubik’s Cubes it would take to create a 205-square-foot mural with a trio of images of the famous #6. The 2016 baseball season finally starts HERE on Monday. There’ll be a sea of red in the stands at Busch Stadium and Clydesdales circling the warning track, as Cardinals fans put a rocky week of on-the-road baseball behind them and welcome home their 2015 National League Central Division champs. Scroll down for info on opening day ceremonies -- a highlight will be the first pitch by beloved Hall-of-Famer Lou Brock -- and changes fans can expect at the ball yard this season. And, because it’s the 10th anniversary of the stadium, we begin with a little quiz. Paul McCartney will return to St. Louis this summer, 50 years after the Beatles’ first rocked old Busch Stadium. 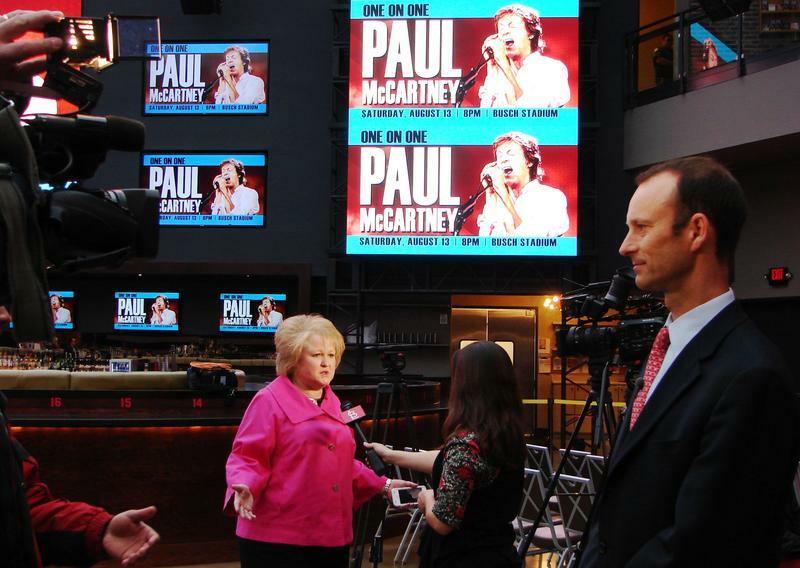 The St. Louis Cardinals are planning host McCartney’s One on One tour Aug. 13 in the new Busch Stadium. This National League Central Division series will be historic: The Cards and Cubs are facing one another for the first time ever in the postseason, and the best-of-five series opens Friday at Busch Stadium. As rivalries go, this one is tops. But our money’s on Cardinals fans because when it comes to the proper waving of rally towels they’ve had lots of experience. 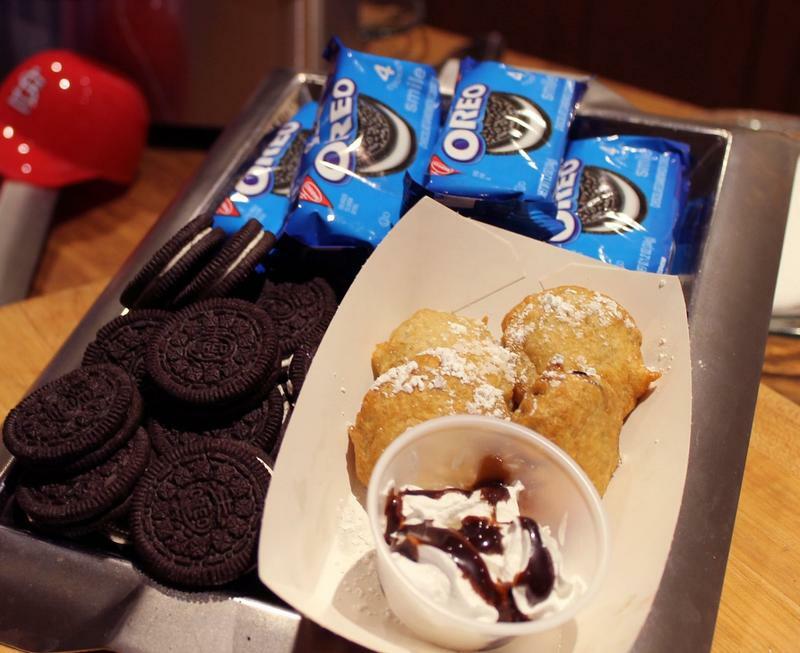 The concession stands at Busch Stadium will be stocked with the classics — peanuts, hot dogs and burgers — for Opening Day, but Cardinals fans will also find “walking tacos," chicken and waffle sandwiches and deep-fried Oreos. 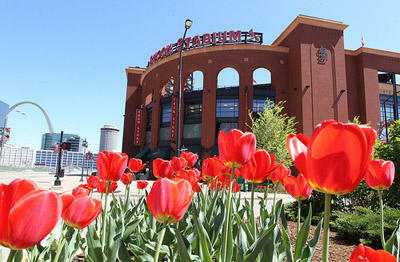 The Redbirds are back, and it’s about time. 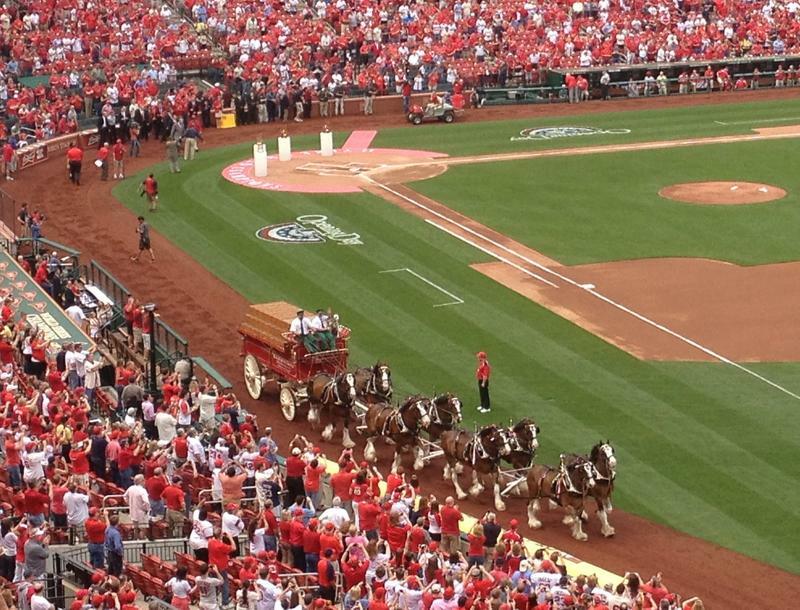 Because it just isn’t spring in St. Louis until Cardinals and Clydesdales are sighted at Busch Stadium. 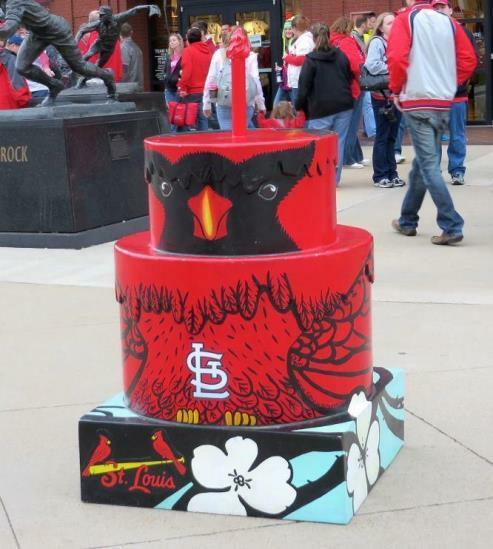 Although the St. Louis Cardinals have returned to Busch Stadium for a playoff run, one thing is still missing: The fiberglass cake that was originally placed at the stadium celebrating St. Louis’ 250th anniversary. And, there’s no longer a question of whether the cake will return before the end of year. It will not be available to the public in any capacity. 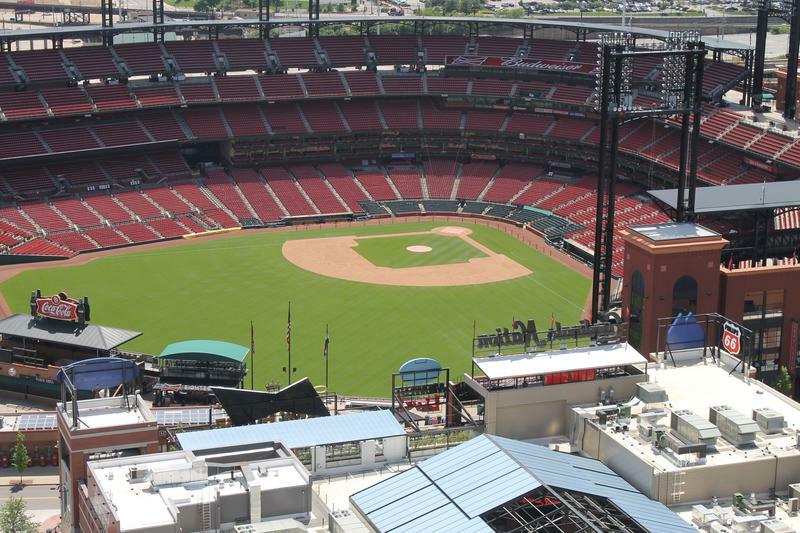 Busch Stadium has hosted "football" before - but not of the American variety. That changed on Saturday, when Southern Illinois University - Carbondale faced Southeast Missouri State on an improvised gridiron in "baseball heaven." 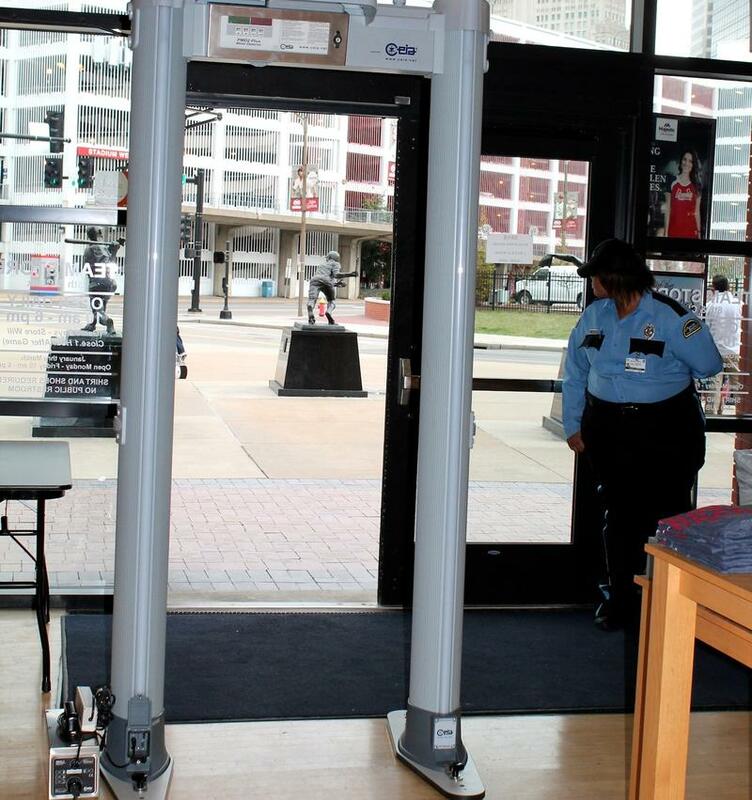 A major sports rivalry comes to Busch Stadium on Thursday - but it doesn't involve the Cubs, or the Brewers, or baseball at all. 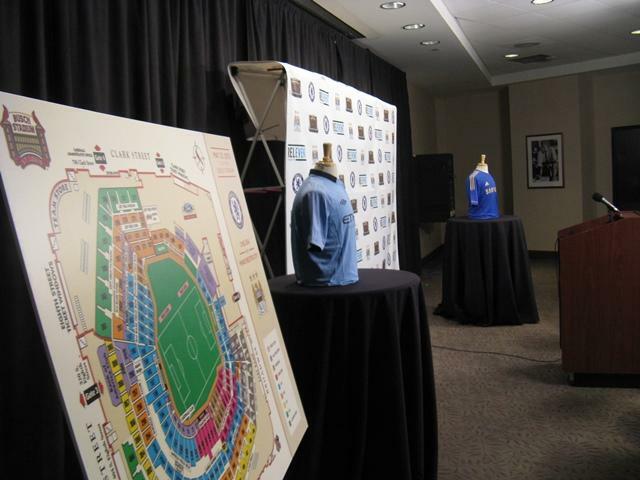 The exhibition game between Manchester City and Chelsea of the English Premier League will be the first time that the stadium locals sometimes call "Baseball Heaven" hosts a sporting event other than baseball since it opened in 2006. Here's how you convert a baseball diamond to a soccer pitch. Let's get the obvious out of the way. Baseball and craft beer are big in St. Louis. But what about when they're combined at Busch Stadium? A place named after the founding family behind one of the world's biggest mass-produced beer brands? A list from The Daily Meal says, "not so much St. Louis." Here's something fun for baseball fans - USA TODAY has put together what it considers to be the "most awesome ballpark in the world" using their favorite elements from baseball stadiums across the country. St. Louis' Busch Stadium gets a nod for its view of the Gateway Arch and the ability of the grounds crew to represent the Arch in the grass on the field. St. Louis soccer fans rejoice - you'll get a chance to see a storied rivalry right here in the city. "What? Number FIVE? We're number one!" Well, Cardinals pride aside, the Redbirds' home turf has been rated as the number 5 best ballpark in America by TripAdvisor. 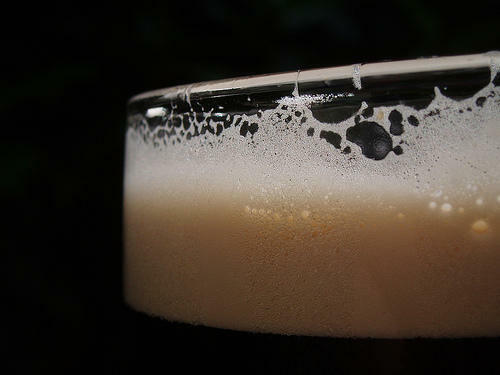 The site lists Busch between Fenway Park in Boston and Citizens Bank Park in Philadelphia. The number one spot for major league baseball in the country? PNC Park in Pittsburgh. Rachel Otwell contributed reporting from Springfield, Ill.
Illinois Gov. Pat Quinn made it official on Tuesday - he will close two state prisons, including the state's supermax facility in Tamms. Rep. Brandon Phelps, of Harrisburg, says he received a brief memo from Quinn, saying that Tamms and a prison in Dwight will close, as well as juvenile detention centers in Joliet and Murphysboro. That's despite legislators including money in the 2013 budget for the facilities. 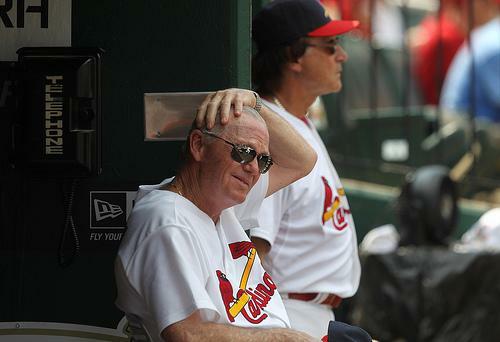 The man who's been at the right hand of Tony LaRussa for most of LaRussa's managing career is taking an extended leave of absence from the St. Louis Cardinals. The team announced today that pitching coach Dave Duncan's wife underwent major surgery on August 21 and will require additional tests and rehabilitation. Duncan asked to stay with his wife during that period. No date's been set for his return.